To bring the Limitless Reflection team to LIB 2014 as an interactive performance experience. 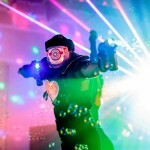 Limitless Reflection is a team of experienced performers from the Pacific Northwest, put together specifically for Lightening in a Bottle 2014. Acrobatics – both on-stage and mid-crowd. Dancers – We have the ability to bring 2 pop & lock/ballet flow dancers, a trick master (b-boy style), a belly dancer, and our team can rock choreography. Stilting – many of our members are trained in Stilting. We have one member with a pair of Jumping Stilts. Fire Dancing – Double swords, Staff, Poi, fans, and acro-fire. 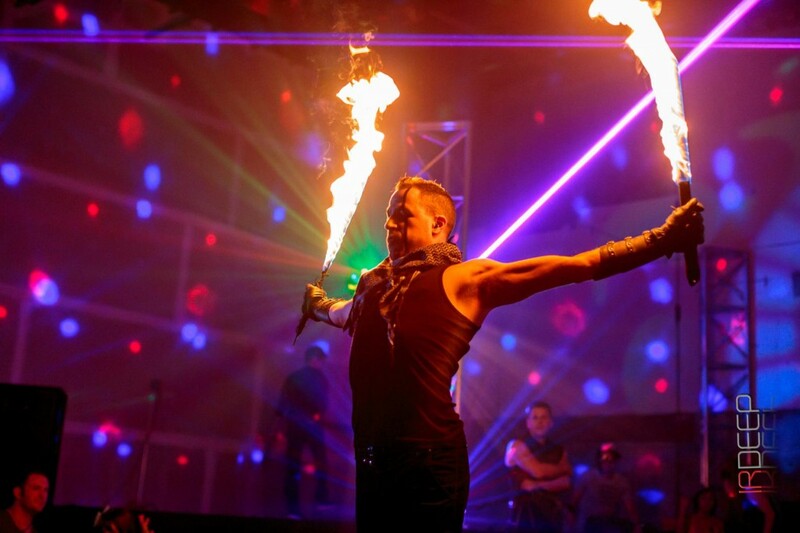 If you’re looking for an experienced fire show, we’re your team. The Tron Bike – a combination of BMX freestyle skills & tricks, mixed with the costume technology of EL arts to a light bike & costume to life! 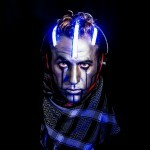 Creating a one-of -a kind unique experience/circus performance/light show. Costumes – This is where we shine. Quite literally. 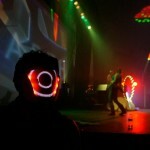 We have the ability to create sound-reactive LED light costumes. 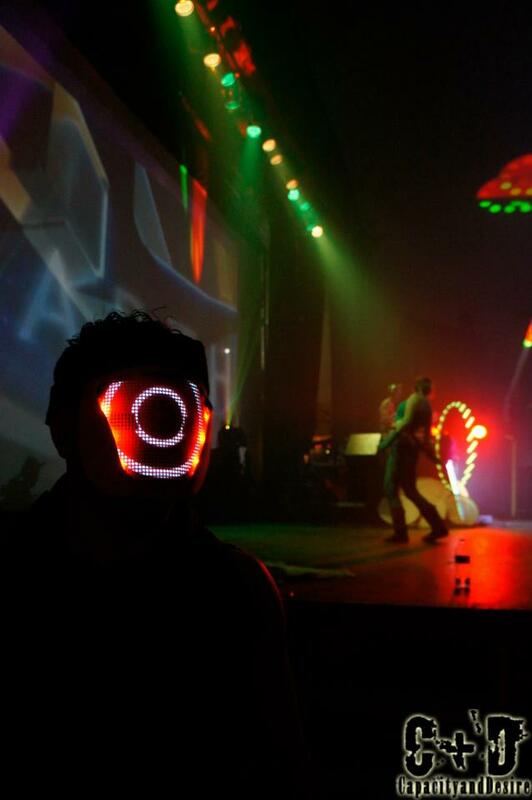 The LEDs on our costuming can both change as ambient lighting OR change/light up with whatever music is being played. 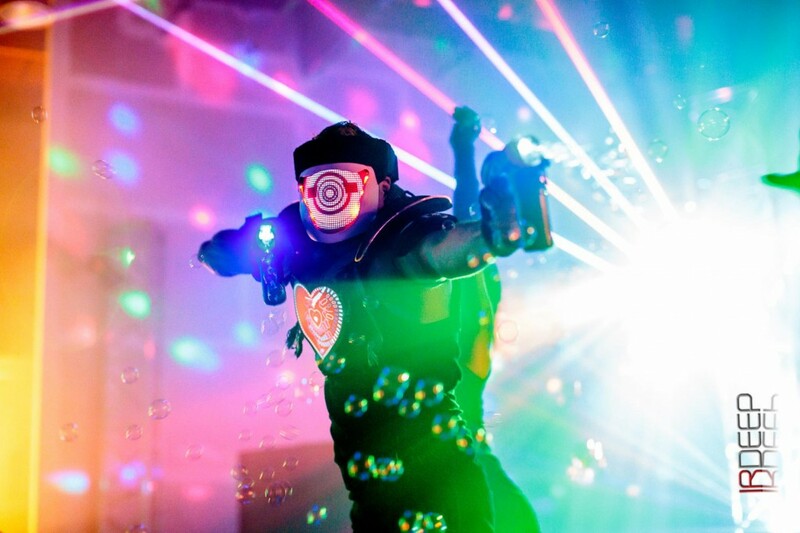 The Whomp Bots – Sound reactive LED/EL panel robot dancer and performance costumes with Sound Reactive Masks, Hearts, and LED shoes- 2 available. Tron Bike – A specialty act from Blake Hicks. 1 available. The Acrobots – Minimal LED design due to the heavy load of acrobatics that will be performed. 4-8 available. Limitless Reflection can be an ambient interactive performance team, roaming LIB and dazzling the crowd while part of the crowd AND also be a stage show. We’re flexible. During the day, we can perform in either colorful clothing or a tribal/robot style. At night, we’ll perform in our light costumes. An all-star lineup of the best acrobats in the Pacific Northwest. RAD is a team of acrobats/fire dancers located in Portland, Oregon. Many of their members have performed all around the world. 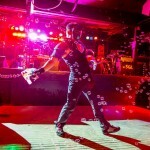 A professional BMX Flatlander / Circus performer specialized massive events & solo performances. He’s spent up to 9 years honing his craft in freestyle BMX bike riding & the last 5 years since 2009 professionally performing as a career. – Blake has worked & been trained by Cirque Du Soleil producers & directors in doing show runs of over 80+ for audience average sizes of 4,000. – Performed on stage along side Skrillex, Hardwell, Paul Oakenfold, Benny Benassi, & many more headline Music artist. 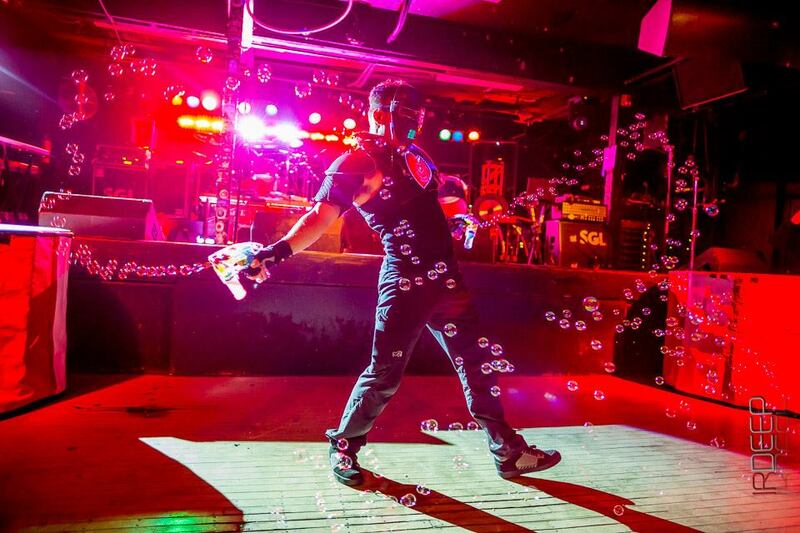 – Is very experienced in both Ambient performing in crowds & personal solo stage sets. – Has Performed for ” The Best” in Paris, France for there second season starting in the summer of 2014 with expected ratings of 10 million +. – Has been flown internationally to perform solo in special NBA events to debut to world audiences. 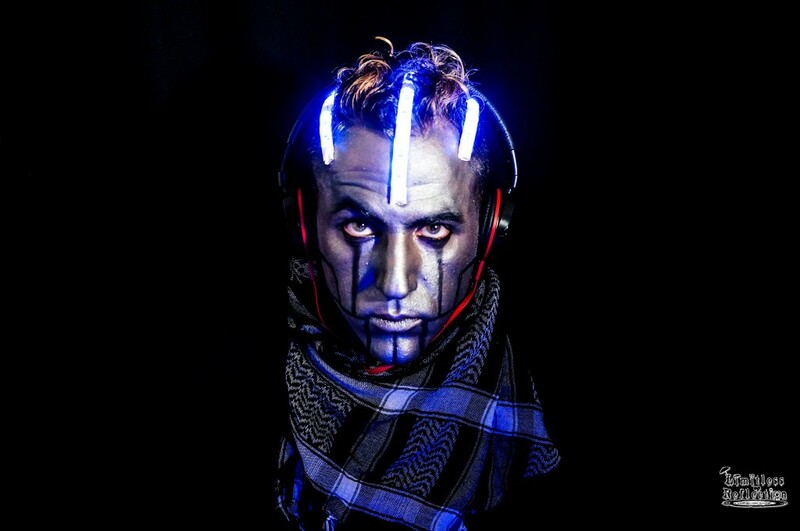 His specialized set is the invention & creation of his now world-recognized debuted act ” TRON BIKE ” It is a combination of Blake’s BMX freestyle skills & tricks mixed with the costume technology of EL arts to light his Bike & costumes to create a one of kind unique experience circus performance light show. CiGi is a Freestyle dancer based in Portland, OR, specializing Belly Dance, GoGo Dance, and Pop&Lock fusion. She can use Fire Fans, fire fingers, LED Hoop, sword, veil, silk fans, isis wings, and zills. She has performed all over the world with companies including EDC, USC, Cloud City Circus and more! Dancer Portfolio Creation and What You Need to Send to Get The Gigs!